Thrifted Thursday are back! Sorry they have been gone. Bad Ashley, bad Ashley. Today I present to you, Cole Haan Loafers. They are classic. 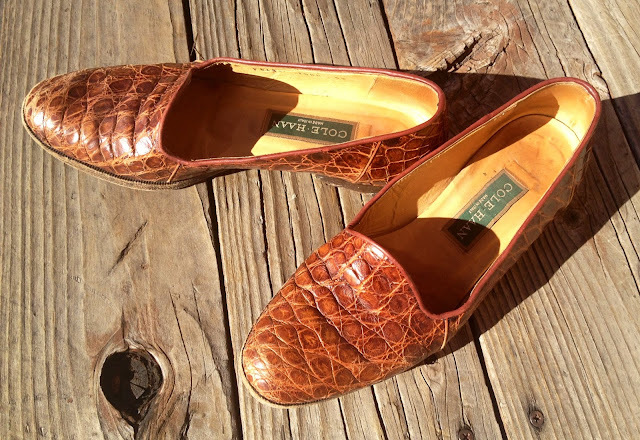 They are crocodile leather. They are vintage (with a current and similar Cole Haan version retailing for $218). They cost me $4. I found these babies at For Pet's Sake in Breckenridge. This is my favorite thrift store in the county for two reasons. First, 100% of its proceeds go to an animal rescue nonprofit called Animal Rescue of the Rockies. Second, it's run by (older, retired) volunteers who don't usually know the value of certain brands and trends, so many treasures can be bought for a steal! I have worn these beauties a couple of times so far, but to be truthful, they are just slightly too small for my feet (too narrow). 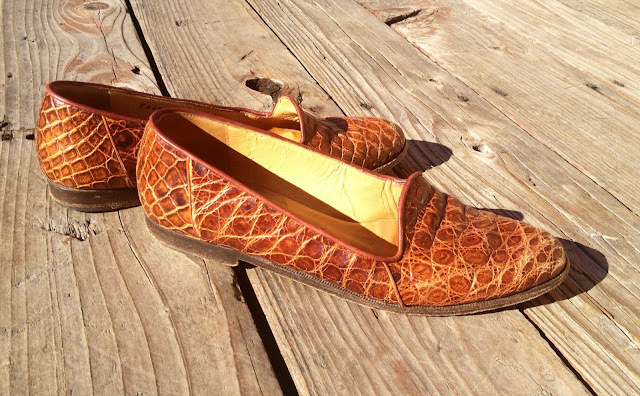 If you wear a size 6 1/2 narrow and are interested in these vintage Cole Haan Loafers, comment on this post and they could be yours!